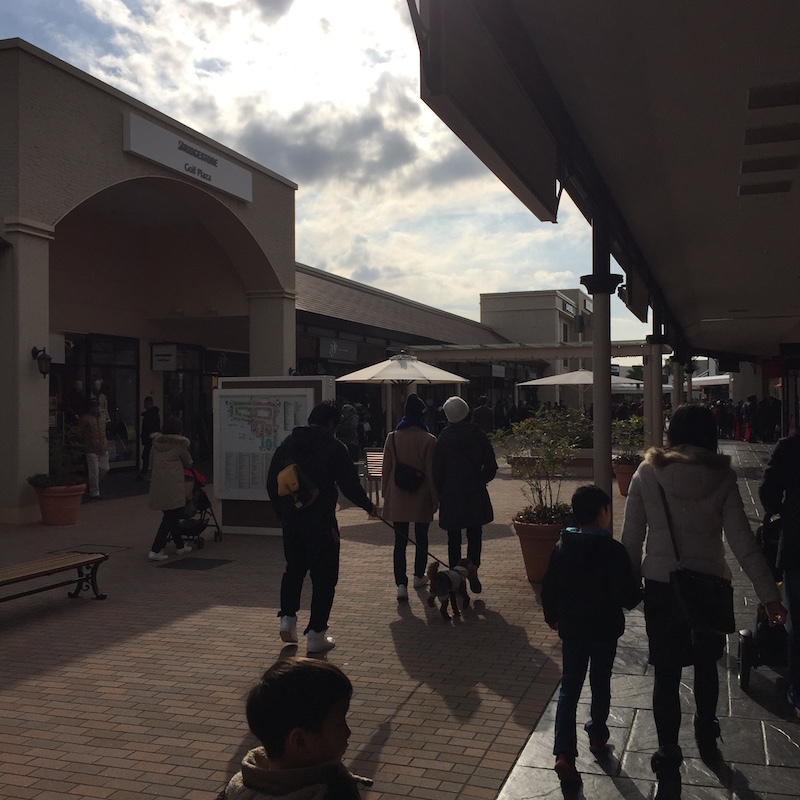 I went to Mitsui Outlet Park Kisarazu on January 2. We arrived at 9:45, a time zone called 15 minutes before the opening. 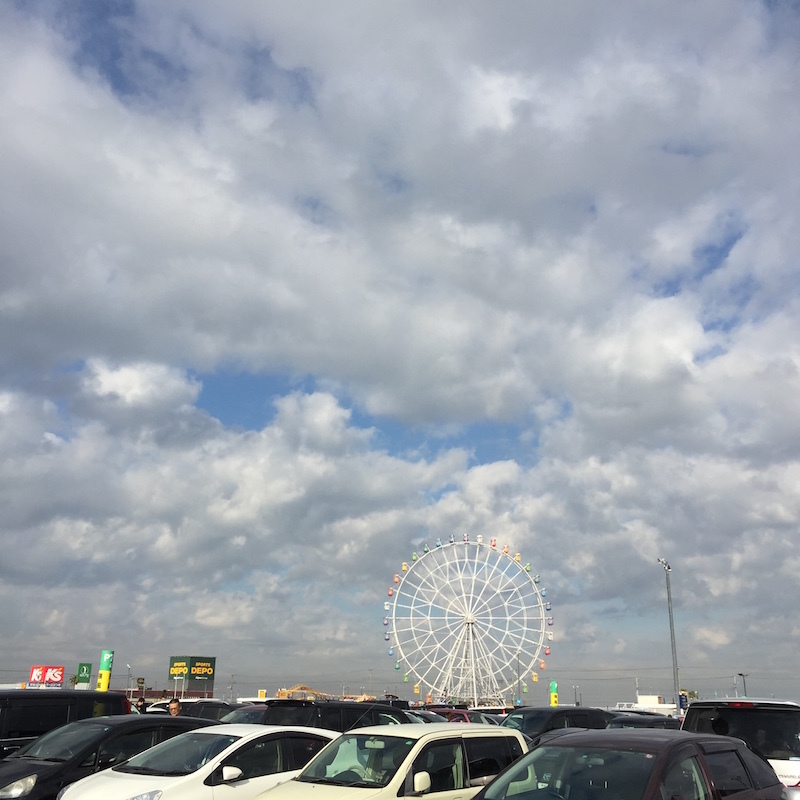 However, cars were entering the parking lot one after another, and it was a time zone just before the traffic jam. Actually, though I thought that it was already congested, I wonder whether the morning is a bit late in the New Year, or lunchtime really crowded. 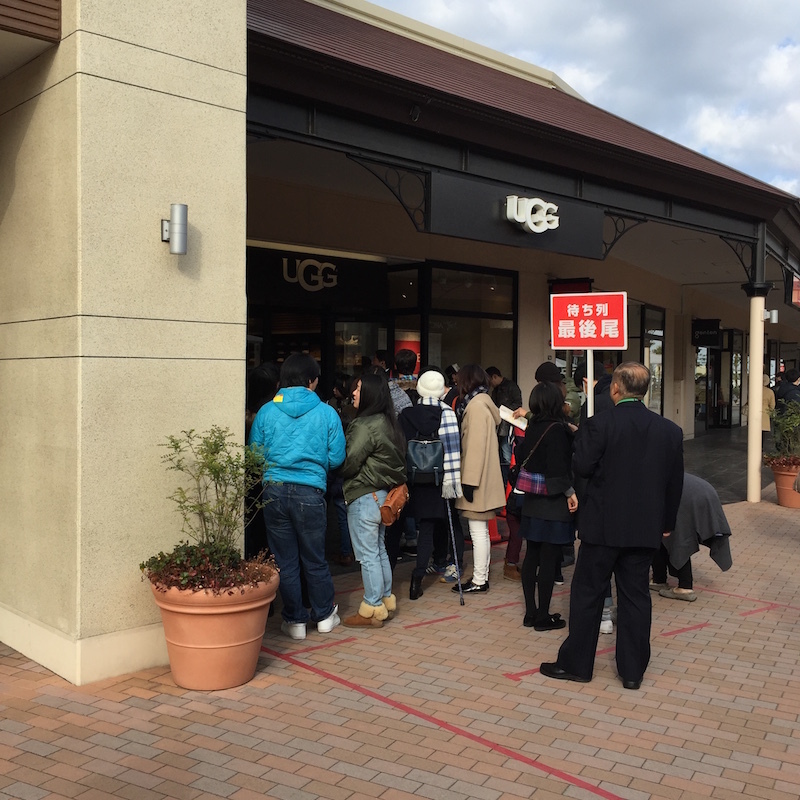 In fact, around the afternoon when we left the outlet, the surrounding roads were supposed to be serious. Just at ten o’clock, people are like this. After this, people increased on an accelerated basis. The first line I saw on this day. Business shoes. 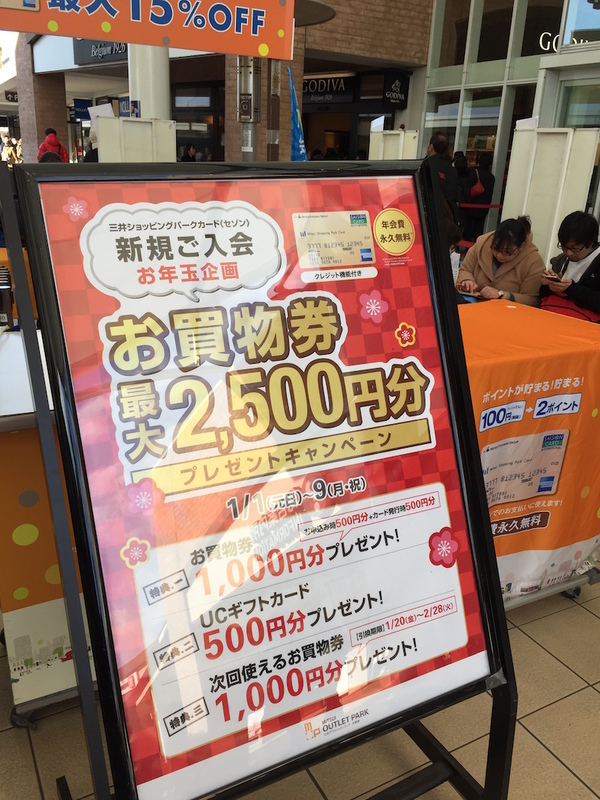 Mitsui Outlet Mall will be given preferential treatment if you have a Saison card. 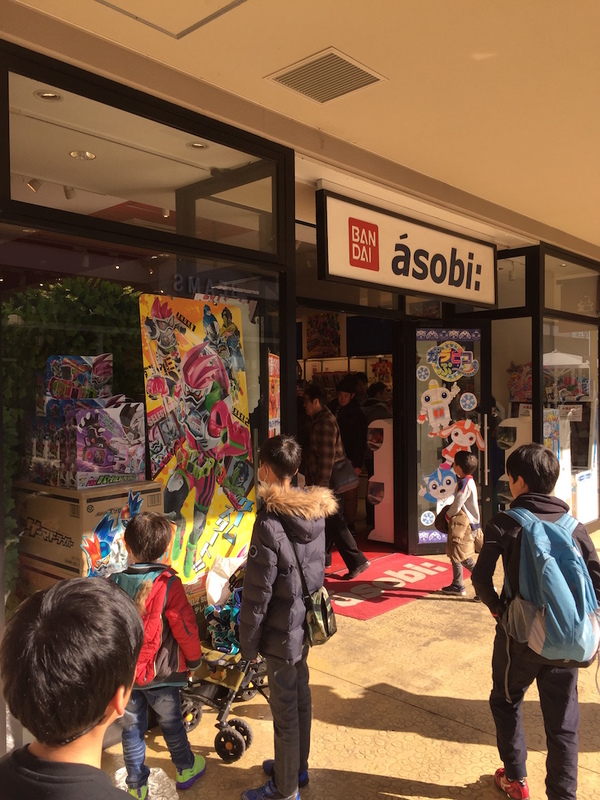 There is also unusually Bandai outlets in the Kisarazu outlet. 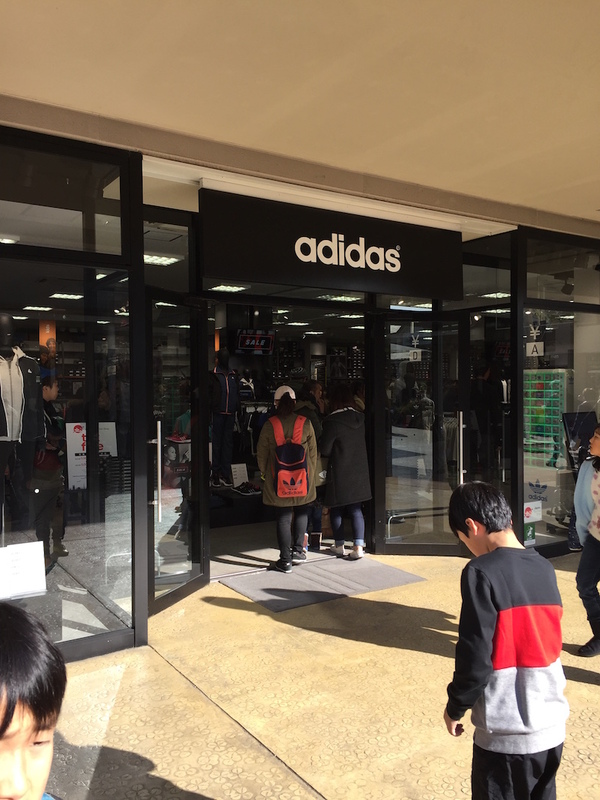 Masked Rider Goods, Youkai Watch, Gundam Uniforms. 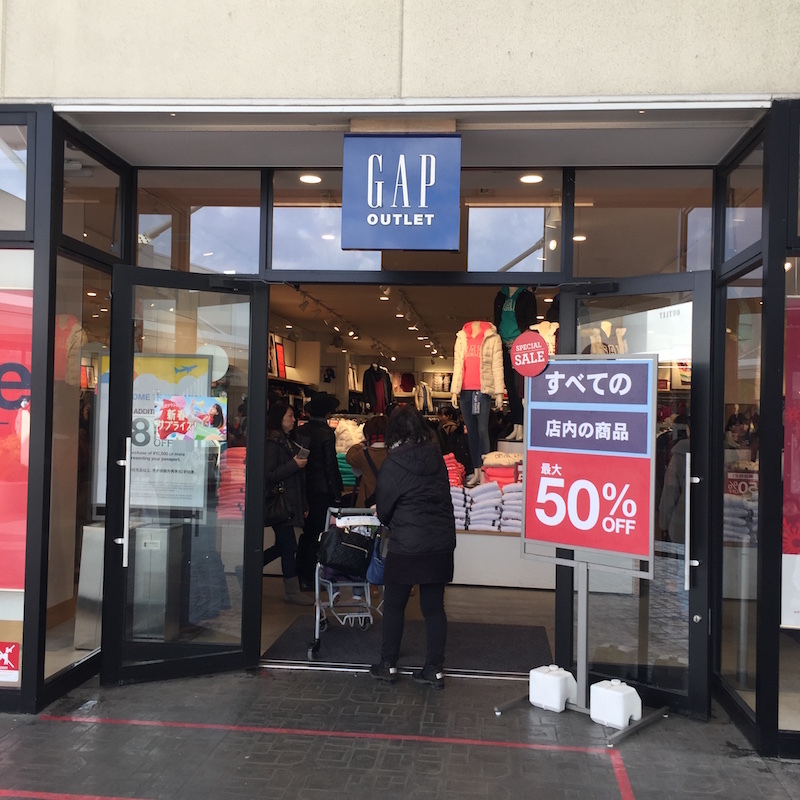 GAP is also this street. Up to 50% in the shop. 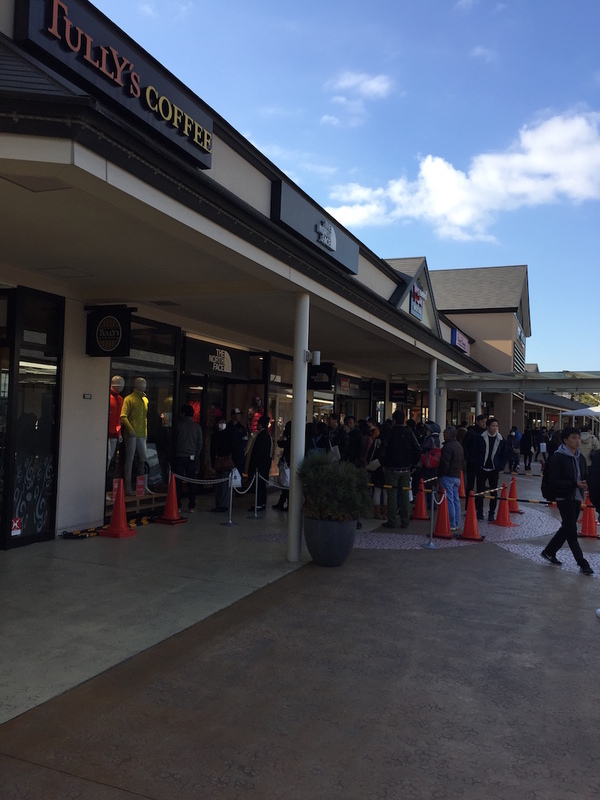 The North Face is also a line. 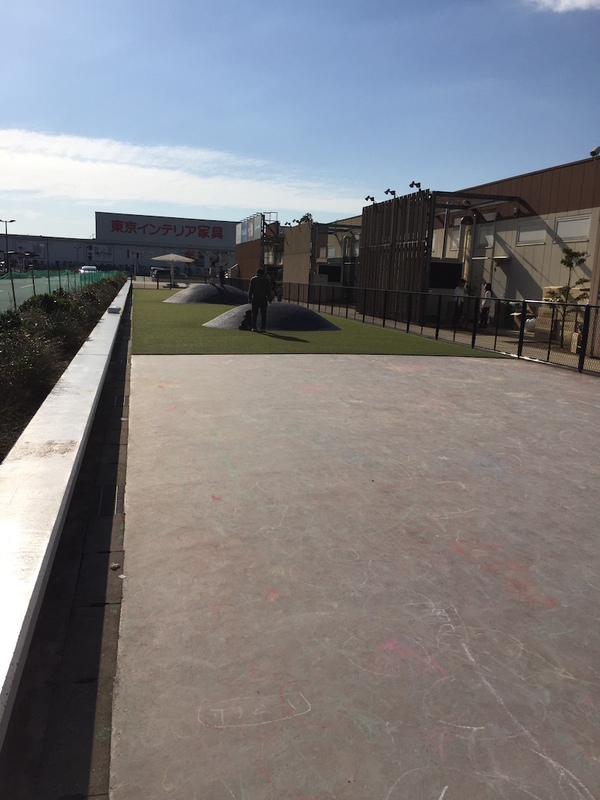 This place is where children play. 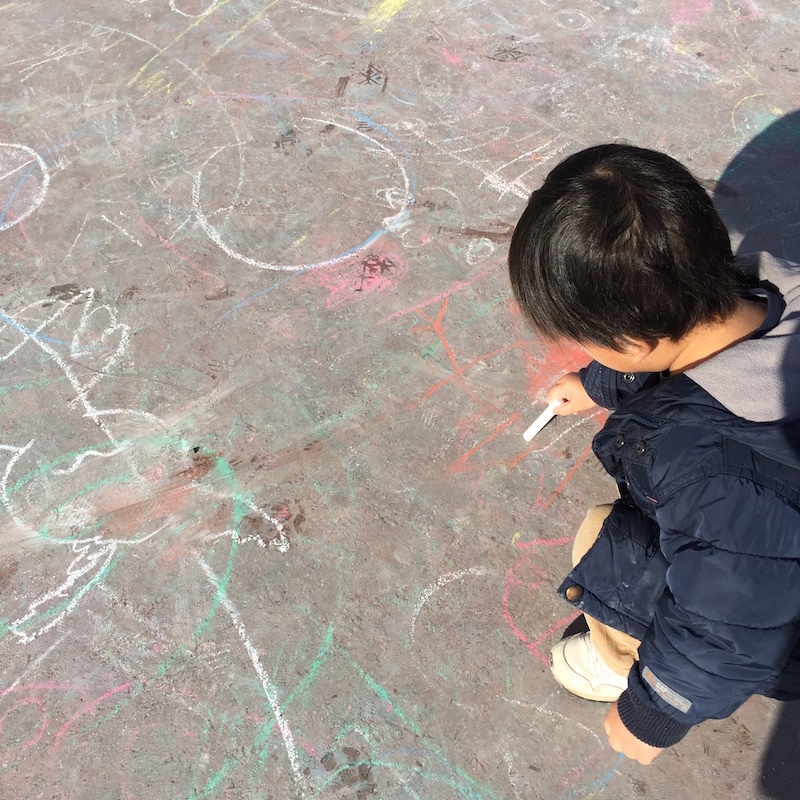 Here you can scribble on the ground with chalk. 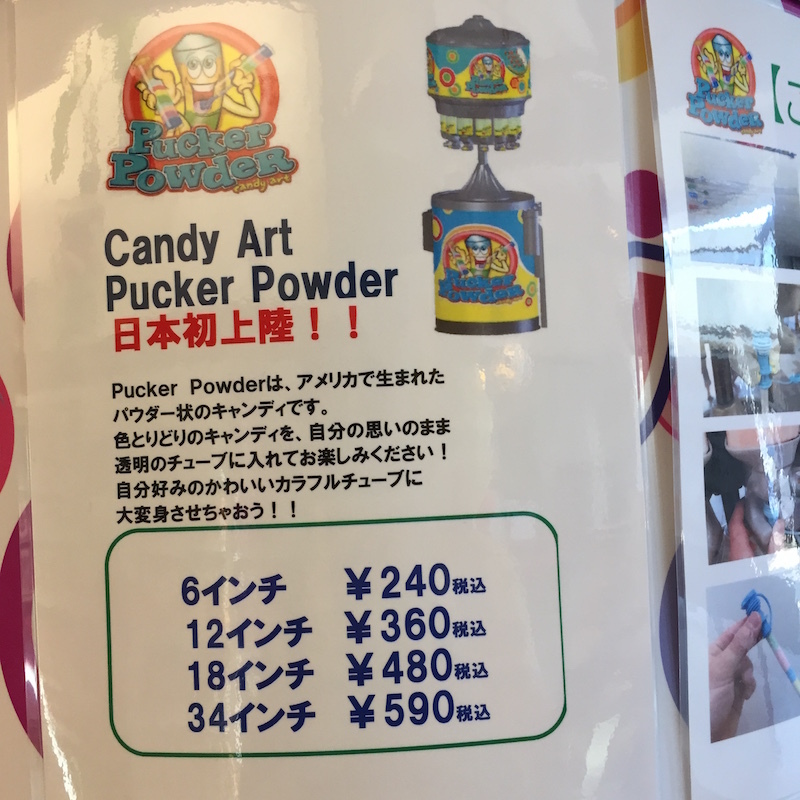 The candy called Candy Art Pucker Powder which children sold at the plaza of imported goods used the only money. 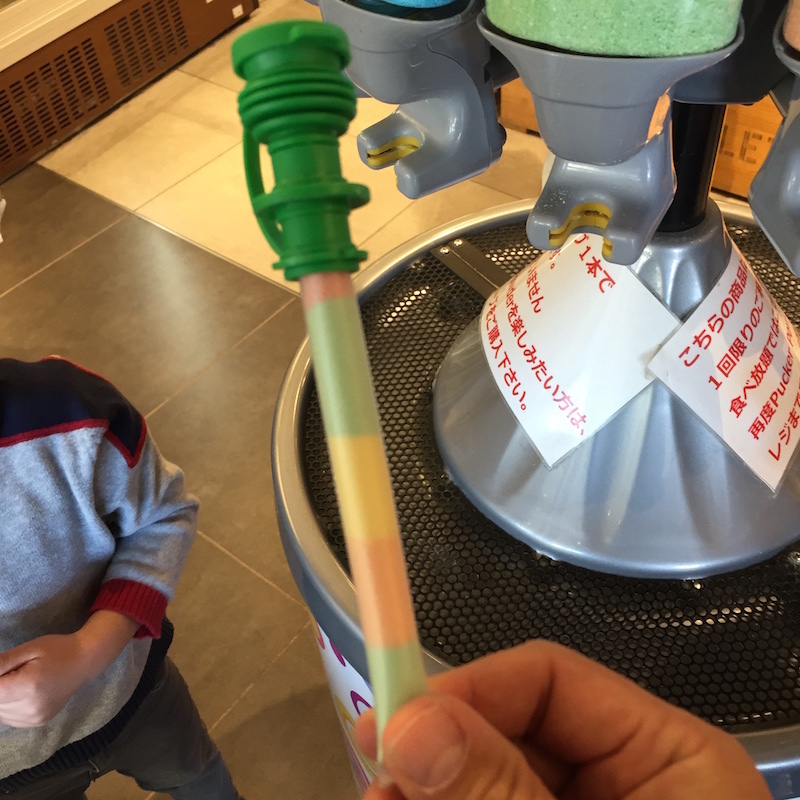 You can buy a special tube and put it in your favorite taste and it is a mechanism of being unlimited. 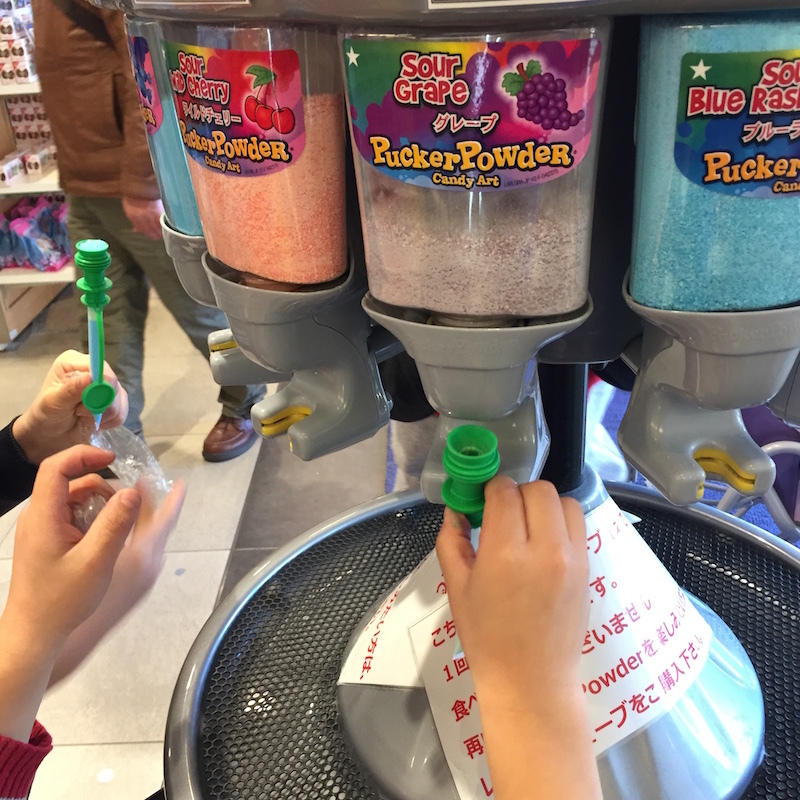 The taste was quite unhealthy and junky.